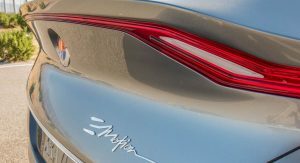 Henrik Fisker says production of the EMotion sedan could be delayed to give the company time to perfect its solid-state batteries. Fisker has made audacious claims about the ‘breakthrough’ battery technology set to be used by the EMotion. 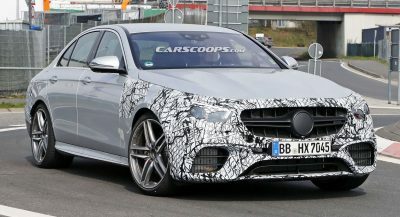 However, during an interview with Inside EVs, the noted car designer said that production of the sedan is still some way off. “We have at least 20 more months to go [of engineering the production version], and we may delay the launch to incorporate our solid-state batteries from the start,” he said. 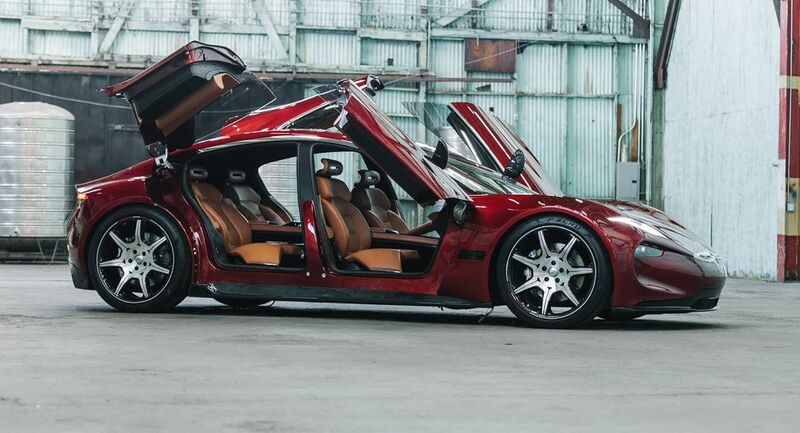 Despite the potential delay, Fisker remains confident in its flexible solid-state batteries which, as the name implies, will have physically flexible battery cells and the flexibility to be used in a host of applications. Can Fisker succeed on his second attempt? Many established automakers are also developing solid-state batteries and according to Fisker, its cells could be so efficient that they may not even need any kind of active cooling. “Our solid-state batteries need less cooling than traditional lithium-ion batteries. We are currently testing our solid-state batteries and are looking into seeing if we actually need active cooling, which would reduce the cost of the battery back,” he said. 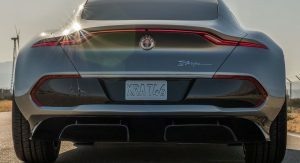 Beyond its use of solid-state batteries, the Fisker EMotion will launch with some level of autonomy but Fisker failed to specify exactly our advanced its systems will be. 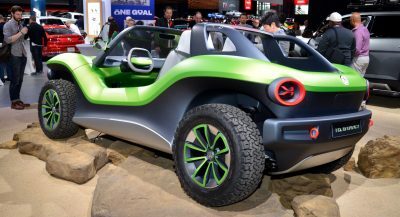 The eye-catching design of the show car will also make it through to production, including the butterfly doors up front. However, the unique rear doors which open backwards and up are yet to be given the green light for the production model. Better late than launch unfinished product, or it could be a bad publicity and by the time it get launched people forgot about it. But yeah I’m still not convinced about their mass manufacturing capability, VLF is still small scale coachbuild company, I wonder if they had the manufacturing capability for it. VLF is not Fisker Inc, two distinct companies that Fisker is involved in. And VLF is not even as big as your average big box store, it is quite impossible for them to make cars from the ground up there. They can make non-functional prototypes like what Fisker is showing everyone. 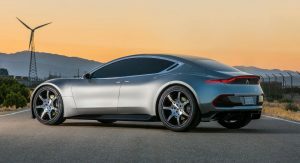 Seems you hadn’t catch up with the news, Fisker announced that VLF would be the one that assemble the Emotion. Since that company has only produce small scale cars, and you yourself said that they don’t have the capabilities in it. You had to wonder how he is able to realize his current dream. Can you provide me a link? I follow Fisker Inc pretty closely, I think I can say it is likely more closely than anyone else (and have even had my comments on one article quoted in their entirety in another article). In any case, VLF is smaller than Jay Leno’s garage. Maybe if they had the parts all made somewhere else they could assemble five or ten cars a year there? I mean, we are talking a car that they are claiming is way beyond the original Tesla Roadster in capabilities and complexities with Lidar systems and big flat screen TVs and a luxury interior. VLF is good at fancy looking interiors but not at new UIs, not at making battery packs, not at writing code for autonomous driving systems…. VLF does not even produce small scale cars. 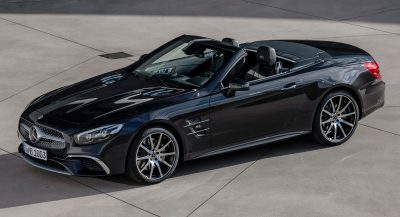 They take existing cars and boost the engine performance, modify or replace the body, and pimp out the interiors. Usually the engine and transmission and so on are the same as they started with. Most “models” have a production run of one or two. And that’s the first article if you want to Google it, I’m quite curious since you seems to obsessed with him, where do you think he will produce it on the first place? Honestly, VLF is in the lest of meh company for me, but you are seriously undermining their capabilities. 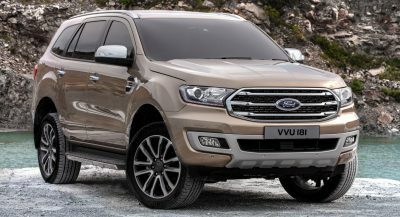 The Rocket which is primarily Galpin project, were moved to VLF because they are overwhelmed with orders and cannot keep up for the demands. Force 1 has been made for 5-6 cars and Destino is a whole political mess that is too long for me to explain. Their product might be based on other cars, but they aren’t exactly a tuning shop, they are OEM certified. My concern is that Fisker is targeting mass market, and this is a whole new territory for VLF, Given Tesla need to buy former NUMMI plant to make their Model S and the old Karma was assembled by Valmet, which is a known name. Fisker has no “scientists,” he has Fabian Albano. That is it. He also has no engineers, despite “coming out of stealth” eighteen months ago there are no engineers who admit on LinkedIn that they work for Fisker, and a total of nine people including Fisker work there. He has no facilities, labs, offices, the company is literally a fiction. These solid state batteries are as real as the supercapacitors he previously claimed were already “in production at an undisclosed location.” There is a lengthy list of things Fisker has claimed about his company that are established lies, like his claim to have patented DVD burners (the graphene machine for the supercapacitors). The eMotion will be delayed forever, Fisker has no intention and no ability to ever produce and sell one. Sure “expert” just saying no one here likes obnoxious people. Then, why are you being obnoxious? I took my time to do patent searches, researched Jack Kavanaugh including finding a recent court case and looking at his LinkedIn, found interior shots of VLF and looked at the outside on Google Maps, and found articles about the work of the university supercapacitors guys. I search for more articles about this fraud every week, and I took the time to write the California Attorney General about Fisker’s attempt to defraud investors and depositors. You remembered a claim from a year old article. Which of us is the expert, and which is being obnoxious?